Long Beans stir fry(lambē sēma) goes very well with rice,chapathi,roti varieities.Health benefits inculdes it is Saturated fat free, cholesterol free, low in fat and sodium, an excellent source for iron, fiber, vitamin B1, folate, copper, magnesium, manganese, phosphorous, potassium, and zinc, and a good source of calcium, vitamins B2 and B6, and selenium.Green beans contain excellent levels of vitamin A, and many health promoting flavonoid poly phenolic antioxidants such as lutein, zeaxanthin and ß-carotene in good amounts. Consumption of foods rich in vitamin C helps body develop resistance against infectious agents and scavenge harmful oxygen free radicals. 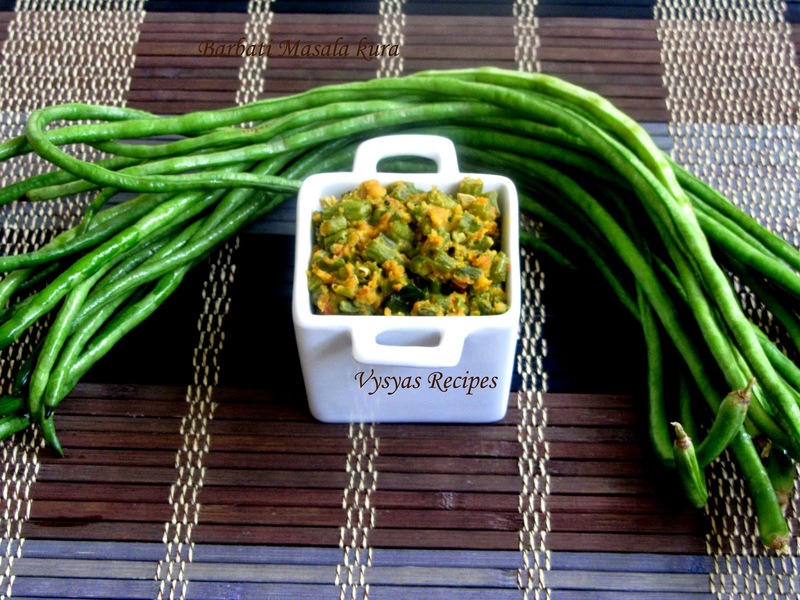 Now we prepare a delicious Masala stir fry with green beans. 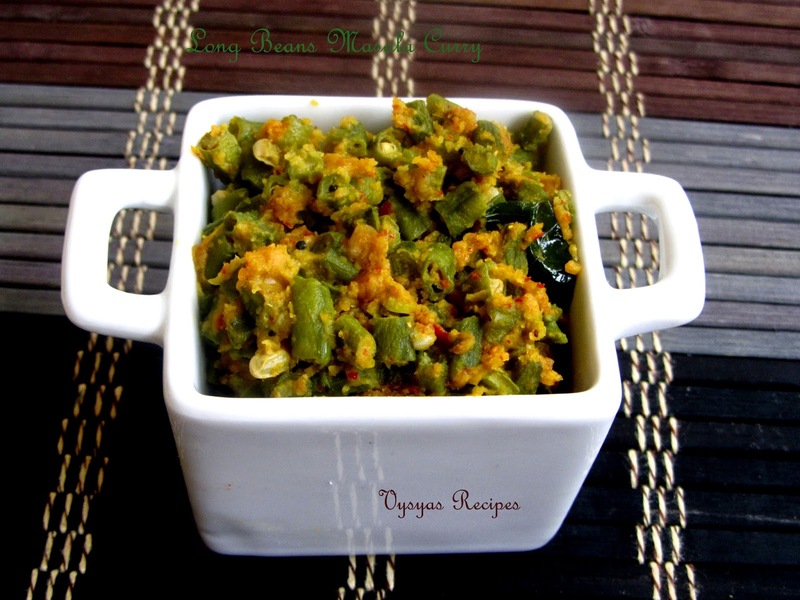 Long Beans/Karamani chopped - 2 cups. Coriander seeds - 1 tsp. roasted chana dal - 2tbsp. Grind everything without adding water into a coarse powder. cut the long beans and keep it aside. Cook long beans in a vessel with pinch of turmeric and needed water. cook till it soft and keep it aside. Heat the oil, add mustard seeds when it splutters, add urad dal and curry leaves. When dal's turns golden brown colour add cooked long beans, saute for two minutes. Then add coarse powder (that we made already) mix well, cook for few minutes, till everything combines and serve hot. It can be served with steamed rice,chapathi, and roti. I used to add julienned capsicum also.